Summary The Pinehurst housing area is owned by the Plus Housing Group in Liverpool and has recently undergone refurbishment as part of a regeneration process within the area. Nine of the 55 houses were deemed to be beyond economic repair. 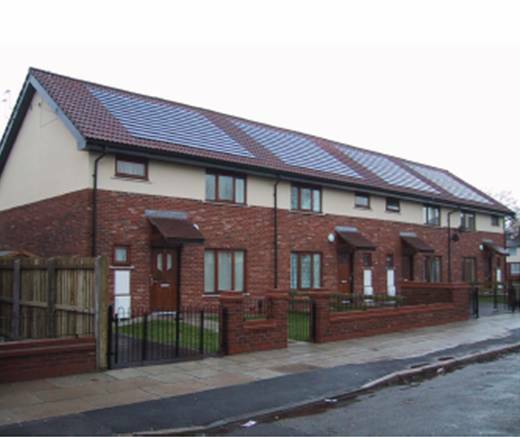 Hence the decision was taken to build nine new properties incorporating photovoltaics (PV) which will benefit the low income families on this housing scheme. The PV systems were installed with support from the Domestic Field Trials (DFT).